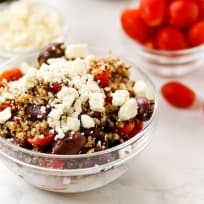 Quinoa salads are packed with protein and flavor. These salads will power you through your day, make no mistake! 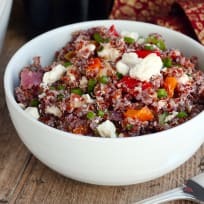 Roasted vegetable quinoa salad is a wonderful dish to make for sharing. It tastes even better the next day! Try these quinoa recipes to find out just how many ways you can put this ingredient to healthy, tasty use. This Ranch Chicken Quinoa Dip will be a hit at your next family get together. Warm, cheesy, and oh-so-satisfying, everyone will gobble it up! Vegan buffalo patties are spicy, but served with a cooling avocado dip, they’re completely irresistible. Perfect for game day! This shrimp quinoa salad is so simple, so protein-packed, and so irresistible! You’ll love the flavors of this delicious meal. 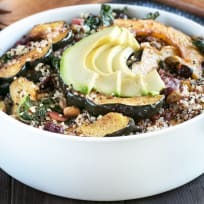 This Roasted Butternut Squash Quinoa Salad makes a great Thanksgiving side dish or healthy lunch option. This dish is naturally gluten-free and vegetarian. 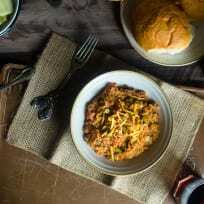 Pumpkin quinoa curry will make your house smell amazing while it simmers away in the slow cooker. With eggs for extra protein, it's a vegetarian meal everyone will enjoy.